Avatar Review: Is “Not Bad” Good Enough? 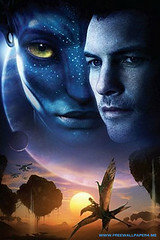 Just posted a review of Avatar over on the MovieSucktastic blog. In some ways it is less a review of the film than it is a review of other reviews of the film. But then again, sometimes the reception a movie receives is more telling and/or interesting than the film itself. Check it out to see what I mean, and feel free to weigh in with your own thoughts. And yes, I kept the 3D glasses. Just got a copy of the cover to my upcoming book, Performed by Lugosi. Take a look and let me know what you think. In the past, I have often found that many books and anthologies on unexplained phenomena and bizarre events are either sensationalized accounts with vague descriptions and no concrete details, or dry and uninspirational regurgitation of other source materials with more footnotes than original material. 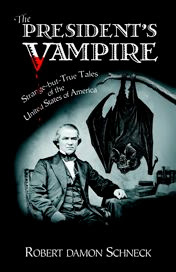 So it was with great pleasure that I discovered Robert Damon Schneck‘s book The President’s Vampire. Schneck’s approach is far from exploitational. His attention to detail and devotion to searching out the truth behind the sensational and unverified leaves no doubt to the author’s curiosity or credibility. Exhaustive and well-documented historical research is devoted to every subject, even when possibly debunking an even more remarkable aspect to a story. But neither is his writing boring or overly-clinical. Schneck’s academic yet personal approach to his subject matter does not hide an almost uncontainable passion for the unusual and unexplained phenomena he writes about, and more importantly, it does not detract from how fun and compelling his writing is. Most chilling and disturbing is the final chapter, Bridge to Body Island, an examination of a friend’s recollected close call with a supernatural bogeyman. Many authors would present the tale on its own with perhaps a few embellishments for dramatic effect. Schneck, however, tells the story (which is genuinely creepy and unsettling) and then proceeds to examine the possible explanations for the events that took place, including research into possible real-world connections. His historical and scholarly comparisons and explanations are as captivating as the story itself, and do nothing to prevent readers who have used a Ouija board in the past from losing sleep. That is where Schneck’s approach to such Fortean tales as God Machines and Presidential Pardons for Vampires is a step above other authors in the field. 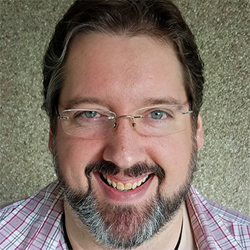 He might not hold a flashlight under his face while leaning over the campfire to tell a spooky story, but that is because more often than not, the facts are far more disturbing. Robert Schneck delivers them, and thankfully so. J.D. Salinger is not only one of the most reclusive authors, he is also one of the most litigious. He is very protective of all of his works, but by far his most closely guarded literary contribution is the classic Catcher in the Rye. Salinger has never allowed anyone to touch this classic novel, despite the desires of many to adapt it to film and/or television. Of course, this is partly due to Salinger’s boycott of any kind of adaptation of his works, a conviction that stems from his disapproval of the 1949 film My Foolish Heart, the silver screen version of his short story Uncle Wiggily in Connecticut. Years later, he went so far as to block an Iranian version of Franny and Zooey (Iran does not recognize US copyright laws) from being screened at a film festival in America. Of course, his protectiveness doesn’t just extend to film. He has sued often in the past, whenever publishers have threatened his privacy or his copyrights. He successfully stopped an unauthorized biography with extensive reprints of personal letters, although much of the content he wanted to protect ended up in the public records of the court transcripts. This time around, a Swedish author has come out with a book entitled 60 Years Later: Coming Through the Rye. Salinger’s lawyers argued that the book went beyond commentary or homage, as it borrowed heavily from the original exploits of Holden Caulfield. Salinger scored a victory, as the federal judge agreed and ordered the book shelved. It looks like I will be appearing at the Paramus Public Library on June 14 as part of BooksNJ 2009. An event designed to promote local authors and the joys of reading, BooksNJ 2009 will feature a stable of over sixty authors, as well as readings, panels, and children-specific activities. Arlene, the organizer of the event, has assured me that she will be placing me alongside another author that specializes in ‘weird and unusual’ materials, so I’m assuming I won’t be sharing a table with Steve Doocey. I’ll be posting more info as it occurs, but you can also check out the event’s official website.